The Wealth & Poverty Theme hosts a free film screening of Navajo Math Circles (directed by George Csicsery) on Tuesday, March 8, from 7-9 p.m. at Athena Cinema. It’s a one-night only event, consisting of a brief introduction before the movie and a Q&A session upon its completion. Free popcorn to the first 50 people in attendance! The film screening is followed by a Q&A session led by Dr. Robert Klein, Associate Professor of Mathematics at Ohio University and Charmayne Seaton (high school student and Navajo Math Circles participant, pictured in the poster). The event is cosponsored with the Department of Mathematics, Residence Life, The Office of Diversity and Inclusion, Black Student Cultural Programming Board, and the Multicultural Center and is open to the public. The documentary by George Csicsery portrays students of the Navajo Nation collaborating with mathematicians on a group project called math circles. The students are in control of exploring math problems creatively and emphasizing the connections that exist between Navajo culture, nature, and mathematics. 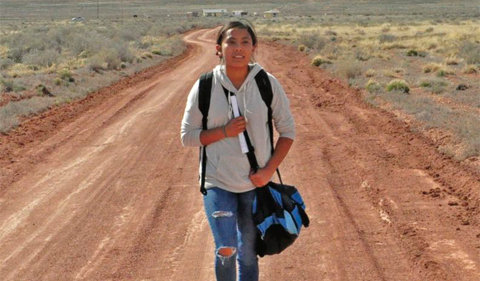 Filmed in Tsaile, Arizona, the documentary focuses on students at Diné College and their individual lives as they participate in a two-week long math circle summer camp. When the documentary premiered in Seattle on Jan. 6, 2015, the president of the American Math Association cried in the front row as student Seaton spoke about her direct involvement with the incorporation of math circles on the Navajo Nation. Dr. Bob Klein was one of the Math Camp leaders in July 2014. Klein said that the best part of the movie-making was watching the story unfold. The movie “is telling the rest of the story that we’d never seen,” Klein says. It takes the audience on a journey that the math department never got to experience for themselves, the other side of the lives they were working with. The film crew made a point to show the backstory, where they’re living, how they’re growing up—the half of life that can be hidden from a teacher’s perspective. Viewers will gain an understanding of the process of establishing math circles while also gaining insight into life for those of the Navajo Nation. 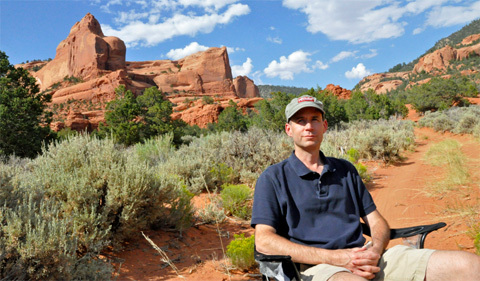 Klein was inspired to take further personal action and register for a course in storytelling. He stresses that the importance of telling the story of these people, celebrating their triumphs, educating on their struggles, has become a main goal of this project for him. Seaton, a prominent star of the documentary, will be attending the showing with her mother. She will be able to speak on her personal involvement with the film and field questions from the audience. The event itself is sponsored the BSCPB and the Multicultural Center, while also being an official event of the Wealth & Poverty theme. They’re still looking for more sponsors, contact Klein if interested at Klienr@ohio.edu.